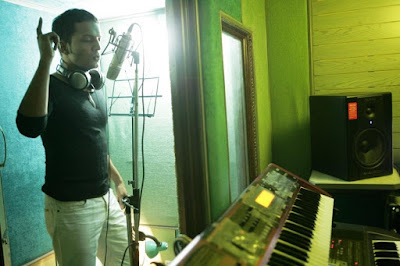 #AbhishekRay, conservationist, singer and film composer of Paan Singh Tomar, Welcome Back, Saheb, Biwi Aur Gangster has created a new album symphony titled 'Earth Voices', featuring #ShreyaGoshal. Abhishek Ray who is known for creating India’s first private wildlife refuge- Sitabani Wildlife Reserve said, this project is his way of expressing love for wildlife. “ I wanted to create something where language isn't a barrier. With 'Earth Voices' we are talking to global listeners, global animals and sounds that the entire planet makes. If it was in Hindi, only people from India would listen and we wanted to go beyond our country. With ‘Earth Voices’ I want to generate concern and support for our diminishing wildlife and vanishing natural heritage. We have very little time left to listen to the earth voices, let’s hear them before they are gone. The makers released 3 teasers in early April featuring mysterious voices of the planet belted out by the Shreya along with rare cinematic visuals cut to delicately crafted music by Abhishek Ray. Apart from films, Abhishek has a history of doing cutting edge non film albums for which he bagged the prestigious Mirchi Music Award recently. He was introduced to the industry by the legendary Gulzar with their first collaboration called Udaas Paani. The video was filmed by Abhishek Ray in and around his sanctuary Sitabani Wildlife Reserve. It depicts the richness and diversity of Indian Wildlife and will be released on Earth Day.